The Speke's Weaver was formally described by Martin Theodor von Heuglin, a German explorer and ornithologist. It had first been described by Blyth (1856) but he used a pre-occupied name (Hyphantornis baglafecht) and it was later renamed by Heuglin. The Speke's Weaver had been collected by John Hanning Speke, an officer in the British Indian Army. Speke joined an expedition about to leave for Somaliland led by Richard Burton. Speke was accepted because he had traveled in remote regions alone before, had experience collecting and preserving natural history specimens and had done astronomical surveying. Initially the party split with Burton going to Harrar, Abyssinia, and Speke going to Wadi Nogal in Somaliland. Speke collected several new animals and birds on this trip, included a weaver which he thought was similar to the Baya Weaver which he would have seen while stationed in India. Speke sent his specimens to Blyth in India, and Blyth published descriptions (but mis-named Speke's Weaver). "I found this little Baya bird on the Plateau in considerable numbers, feeding where there were long grasses and plants in flower". 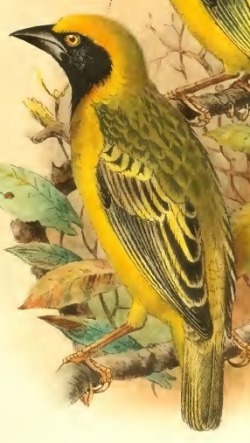 The first illustration of the Speke's Weaver was of a male in breeding plumage, published by Shelley (1905). 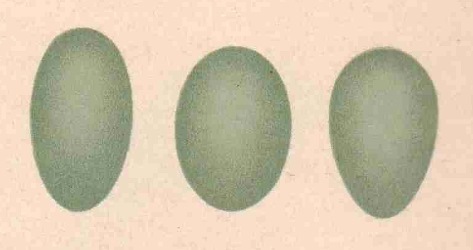 The next illustration pertaining to Speke's Weaver was by Lonnberg (1911), showing the variation in shape of the eggs of this species. 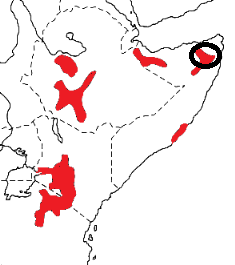 Hyphantornis spekei	Heuglin 1861,	In Petermann's Geog. Mitt., 1861, p.24	Somaliland. 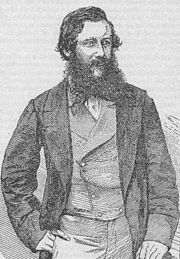 spekei - After Captain John Hanning Speke (1827-1864) British explorer, the first European to see Lake Victoria. The type specimen was in the Museum of Asian Society of Bengal, then apparently moved to the Calcutta Museum.